If you have an interest in fishing, or raising larger fish, you may find it useful to build a minnow farm. 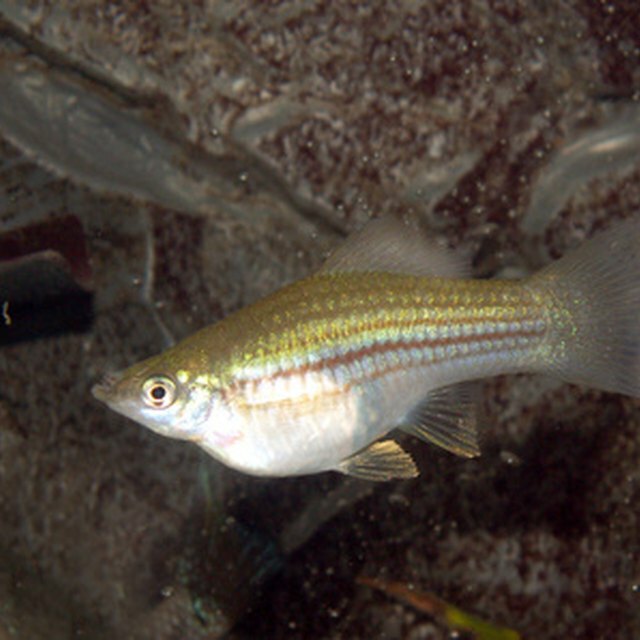 Minnows are smaller fish that are often used as bait, or as food for large fish on fish farms. You can build a minnow farm fairly inexpensively by using materials that you can purchase at your local pet store. Seek the advice of a fish expert before you build your farm, to ensure the best possible health for your minnows. Purchase a tank that provides the appropriate size for the minnows that you wish to farm. Your fish specialist can advise you on appropriate tank sizes, but if you only need to raise a few minnows as fish bait, you can aim for a smaller aquarium. A stock tank is better suited for minnows being raised to feed larger fish on a farm. Install an aerator in your tank, per your specialist's instructions. An aerator must distribute water throughout the tank. Electric aerators, for this reason, may be more useful for larger tanks, while solar-powered aerators can reduce the costs of powering your tank. Provide hiding places, such as plants, around your tank. These places give female minnows safe spots in which to lay their eggs. Fill your tank with dechlorinated water. Add a small quantity of water, in a ratio of 1:4, to the water in which your minnows are currently housed. This gives your minnows the opportunity to adjust to the water conditions in the tank, including the mineral content and the temperature of the water. 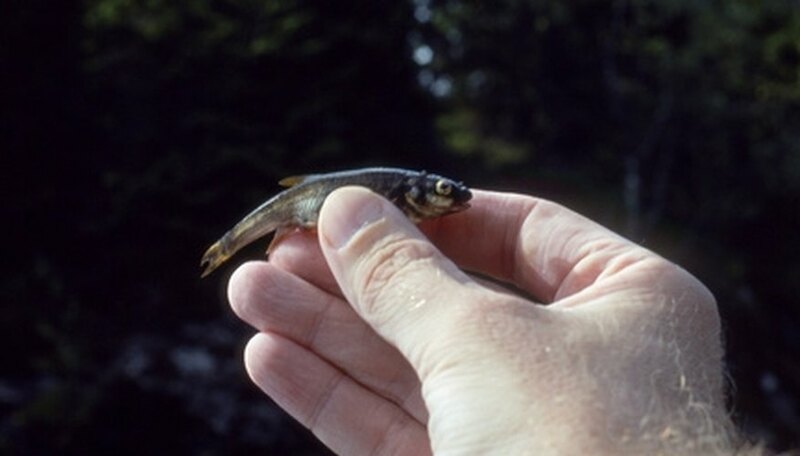 After allowing your minnows to spend at least one hour in the mixed water, add more water to the minnows' water, so that the ratio becomes 1:3, for another hour. Continue to add water each hour, until the ratio becomes 1:2 and 1:1. Introduce minnows to your fish farm. Feed them twice a day with the brine shrimp and lettuce, per the fish specialist's recommendations. Lobo, Tricia. "How to Make a Minnow Farm." Sciencing, https://sciencing.com/make-minnow-farm-12022502.html. 24 April 2017.